FxHome Ignite Express 2017 is first-of-its-kind, a collection of more than 90 professional-quality FREE plugins to drive your film edits into high gear. They are for Mac OSX 10.9+ and Windows 7+. 64-bit only. Over 150 creative plugins to transform editors into visual effects toolkits. Ignite Pro 2017 is a collection of over 150 creative plugins that can be used with your other software. Bring HitFilm Pro technology to other editors with powerful plugins including color correction and keying tools, light flares, particle effects and much more. Compatible with Adobe After Effects, Adobe Premiere, Apple Final Cut Pro X, Apple Motion, Sony Catalyst, Blackmagic Design DaVinci Resolve, The Foundry NUKE, Grass Valley EDIUS, Avid Media Composer and Vegas Pro 14. Wherever, whenever: Ignite fits into any workflow. Install the plugins on Mac or PC, to all hosts, on up to 3 computers. No arbitrary restrictions. Professional keying: T he best chroma key in the business, with project-saving spill replacement for 100% realistic composites. Atomic particles: Form-based particle system with fractal and audio-driven animation. Light flares: The ultimate lens flare collection with streaks, highlights, leaks, artificial lens dirt and anamorphic artifacts. Advanced effects inside your chosen editor: The Ignite plugins transform editors like Premiere Pro CC and Final Cut Pro X, turning them into powerful visual effects toolkits. Colorist’s toolkit: Expand your color correction and grading potential. All major hosts: Adobe After Effects, Adobe Premiere, Apple Final Cut Pro X, Apple Motion, Sony Catalyst, Blackmagic Design DaVinci Resolve, The Foundry NUKE, Grass Valley EDIUS, Avid Media Composer and Vegas Pro 14. 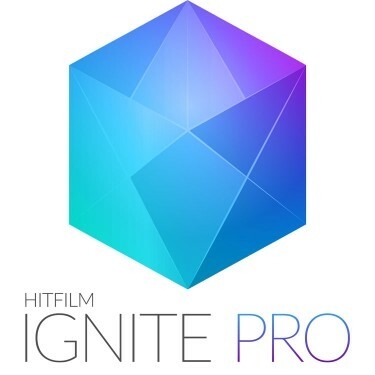 Also included with HitFilm Pro 2017: Ignite is available on its own or included with HitFilm Pro 2017. Want more free stuff for Final Cut Pro? We’ve shared gobs of free plug-ins, templates, and more. Gimme free stuff!